complimentary modality and Ayurveda the mainstay. that is the alternative treatment, the alternative treatment is pharmaceutical. Mr Jo LEINEN is a German politician and Member of the European Parliament from Germany. He is a member of the Social Democratic Party, part of the Party of European Socialists. 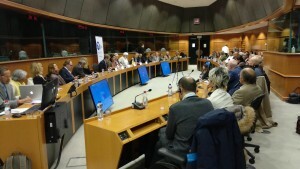 He is well known for his environmental and foreign affairs activities, as well as for his support for a Federal Europe. He spoke expressively on Ayurveda as a preventative medicine, which keeps us healthy. With western health care systems focused on disease, a preventative system is welcome, said Mr Leinen during Ayurveda Day celebrations. Mr Leinen thanked and agreed to support the work of Amarjeet S. Bhamra of the APPG Indian Traditional Sciences and his international efforts to protect and promote the Ayurveda System of Medicine. He agreed with Mr Peterle, and reiterated that all of the good outcomes of Ayurveda must be logged, recorded and presented to policymakers and the rest of the world. He explained that seeing the congregation of experts, academics, clinicians and politicians from all over the world is surely a great sign that developing a body of evidence is possible. 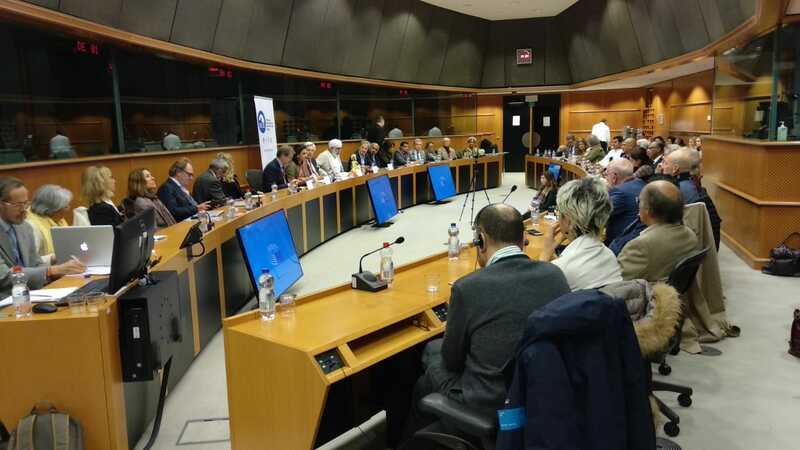 Mr Van Orden read a petition that will be launched shortly to gather one million strong signatures for the European Parliament to review and debate Ayurveda and Traditional Medicines. Hon. Ms Gaitri Kumar – Indian Ambassador stressed the essential role that Ayurveda played in the lives of Indian citizens on a daily basis. From the kitchen to the medicine cupboard, Ayurveda was used daily. She also reiterated the AYUSH commitment to poly medicines. Patients require choice and should not just be limited to western medicine. The Indian Ambassador also said it was both fantastic and inspiring to see the congregation of such an amazing gathering all passionately speaking about what interests them the most. The event was about ancient science, but not science in the modern sense. She reiterated the issue of evidence, and suggested that perhaps there needs to be a renewed look at what evidence is: do we need to see the effect of Ayurveda in a Petri dish, or is the clear, discernible benefits of yoga to people suffering from arthritis good enough? She reminded the group of the importance of collecting evidence, and suggested that perhaps there should be a Chair appointed to co-ordinate activities and generate the research and evidence the Western World would like to see. Prof. Madan THANGAVELU, stated that this well attended event was a show of strength for the Ayurvedic cause. 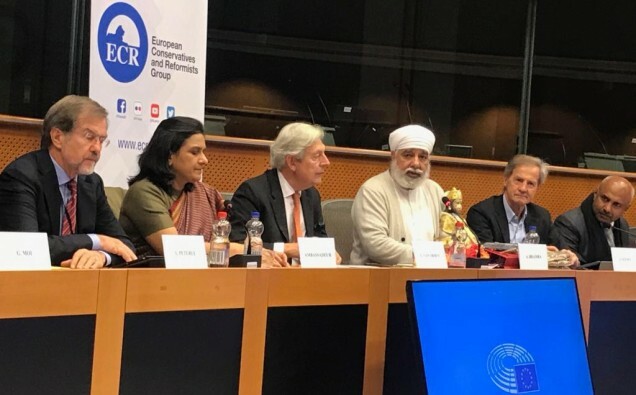 On behalf of the APPG Indian Traditional Sciences, he made a presentation of a joint statement between EU and India regarding moving Indian Traditional Sciences forward. Prof. Tony NADER, the head of the worldwide Maharishi Organisation via Skype offered similar direction to Mr Leinen and stressed that Ayurveda was preventative and personalised medicine. Peoples physiology differed and Ayurveda addressed this issue. Because Ayurvedic techniques are so simple and easily assimilated in to everyday live – it is considered kitchen medicine. But Ayurveda played another role – it looks into human consciousness and awareness. Our experience of life is based on our awareness and consciousness. But other systems of healthcare do not acknowledge this aspect of the human. When you develop consciousness, physiology improves. Ayurveda is the best system of medicine to make life on earth happier. Dr Geeta PILLAI from the World Health Organisation’s Traditional Medicines Committee, reiterated the message of the importance of Traditional Medicinal Systems. Getting regulation right is essential, he said, as if the regulatory structure is not right, then we may inadvertently harm or restrict the practice of Ayurveda, rather than help or promote it. All the work that has been done by WHO is geared towards promoting an essential preventive healthcare method. The WHO does not distinguish between traditional and complimentary medicine. They are looking for what works. The WHO is focused on patient centred medicine. Prof. Dr. Venkata JOSHI, principal lecturer at the College of Ayurveda UK speaking on the theme of this gathering, Ayurveda for Public health, said, Ayurveda is steeped in individualised medicine and brings stability to the being. He discussed physiology from an Ayurvedic perspective stressing how this system addressed all aspects of the human being – from physiology to psychology. Ms. Ragasudha VINJAMURI, a renowned Bharatnatyam dancer explained the legendary cultural dance origin of Lord Dhanvantari (father of Ayurveda) through her dance movement. Cornelis PETERS, Tamara SLIJEPCEVIC, Gayatri PURANIK, Gudrun BUCHZIK. To find out more info about European countries, you can visit https://www.schengenvisainfo.com/eu-countries/ for an all-inclusive guide.